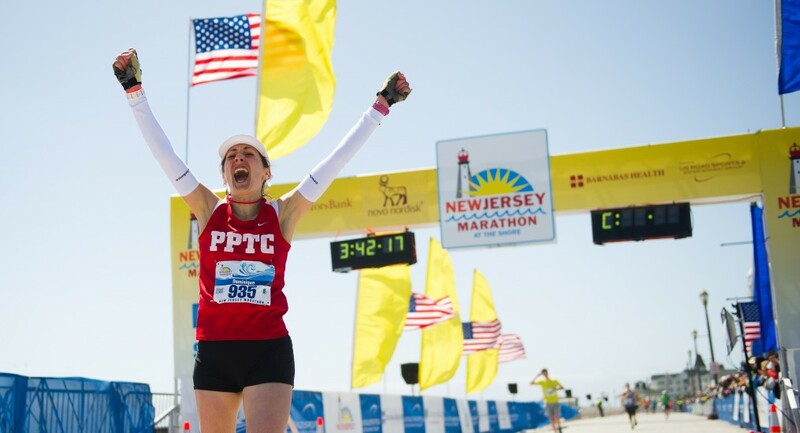 Race Info Questions: Please look over the information on our website at: www.njmarathon.org to help you during your race day planning. Please like us on Facebook as we often announce new information on our Facebook page first. Race Packet Pickup Info: If you have any questions about picking up your race packet please be sure to read the “Packet Pickup Info” on our website in order to make this as easy as possible for yourself or your Proxy. Pacing Teams: Stop by the Pacing Team Booth at the Expo to ask questions and to meet Bob our Pacing Team Leader, and perhaps some of his pacers. It’s free to join-in and pacing teams provide a great way to give you an edge toward meeting your race day goal. Our teams cover a wide range of finish times including ones around the maximum finish time for each race. All of the Boston Qualifying times are also included! Here’s the link to info about our pace group times and the pacers. Starting Corral Assignments: We have manually placed some people in the last corral of their race who either didn’t bother to enter an expected finish time or entered a finish time which was a new world record, etc. Even with those manual changes, there are likely people in corrals who shouldn’t be there, as it’s impossible to check all 11,000+ expected finish times. In general, we do not make changes to the assigned corrals. However, we may choose to change a corral assignment at the Expo only under the following conditions: your results from a recent race, on a certified course, are available on Athlinks.com and that finish time indicates to us that you can reasonably be expected to finish within the range of finish times in a different corral. In that case only, will we change the corral assignment on your bib. Faster training times, as recorded on your watch during training will not be accepted and neither will race times older than three years ago. Please note: if you do not receive a change of corral sticker on your bib during the Expo you will not be allowed to enter an earlier corral on race day. Please stop by at the Expo to apply for a change, if you qualify (see the qualifying information above). We want you to start where you belong based on past performance. What’s Happening at the Health & Fitness Expo? : The 2013 Novo Nordisk Health & Fitness Expo will again feature an impressive lineup of health and fitness presentations as well as exercise, stretching and yoga classes and top vendors with great merchandise, accessories, and memorabilia. In addition, some of our sponsors, affiliated charities and local businesses will also be available. Browse through the expo area, join an interactive class, pick up some great advice from our expert speakers, place a bet on the Kentucky Derby, and even watch it on the large screen TVs in the Clubhouse. Bring your workout clothes and/or your note pads, and plan on taking part in these free activities on each day of the Health & Fitness Expo. We will be announcing the days & times and speaker information later this week. Athlete Tracking: It is our intention to provide runner tracking again this year. The unexpected and extraordinary costs associated with putting on this year’s race makes it necessary for us to find creative ways to provide this service for you. We will continue to work on this, but time is running short and I can still only report our intention, not that it will be provided. BTW – The required timings mats around the course have been ordered. Race Day Shuttle Service: Race day shuttles will run from the start area to the relay transition area, and to the finish area and back to central parking at Monmouth Park, ONLY. Here is a link to the details Free Shuttle Bus Schedule. Please note: There will be NO Shuttle Service prior to our published schedule If you need to leave earlier please have a vehicle waiting for you in one of the parking lots near the finish line (see “Finish Area Parking” below). Finish Area Parking: If you need to leave prior to the start of the free Shuttle Bus Service, the lot at Seven President’s Park (Parking Lot A) is available for $15 per car, as well as in other parking lots in the area. This Park is normally an easy drive from Monmouth Park and a short walk along the Ocean Promenade from the Park will get you to the Finish Line. Please note: This lot will only be directly accessible from Monmouth Park until about 7:00 am (after that time road closures will likely block direct access to the Park). Tickets can be purchased on-line to be mailed to you or picked-up at the Expo. A link to make the on-line purchase will be available on our website soon. Race Day Weather: We will be watching the long range weather forecasts often over these last two weeks prior to race day in order to make any necessary adjustment in our planning. With two weeks left, all I can tell you is that the weather varies from year to year. It was in the low 40s and sunny with very little wind at race start time this morning. It warmed up to almost 50 degrees by mid-afternoon with a light breeze at the finish. It was perfect race weather today at the Shore!! Previous RD Updates: To review all previous Race Director Event Updates please go to the following link: View the previous Race Director Updates. Please Join us in Helping Others: Move for Hunger will be conducting a food drive during the Novo Nordisk Health & Fitness Expo. Please remember, it’s “cans in hands” when heading to the Expo again this year. Please help us to continue to make a positive impact on hunger, right here in The Garden State!!! We are also attempting to change the lives of poor families forever, and need your help in donating used athletic shoes to The MORE Foundation Group during the Expo. It takes 600 pairs of collected shoes per family/village/school, and we’d like to you to join us to adopting several families/groups this year! Please join us in this very worth-while effort! Correction: I incorrectly reported the cost of the parking at Monmouth Park in my update # 6. It will cost $5 to park at Monmouth Park, not $1. Please note: the $5 parking fee will be collected as you leave the parking lot. Sorry for the error! This entry was posted in Race Info and tagged Expo Classes, Expo Interactive classes, Expo Speakers, Starting Corrals. Bookmark the permalink. Love the New Jersey United We Run shirts! How can I purchase one? Please disregard my above post, Joe. I found the order info and have already purchased two. Thanks.